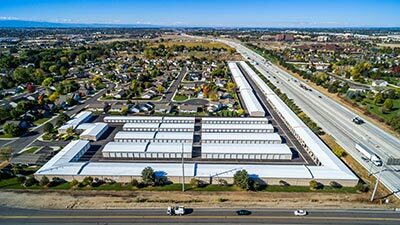 Our Stor-It Self Storage - Cloverdale Location in Boise, Idaho provides residents of the Gem state’s capital city with a reliable place to store their excess belongings. No matter if you're looking to store household belongings or your new ski boat, we've got you covered! Why Store with Stor-It? Stor-It Self Storage has earned its place as Idaho’s most trusted storage facility. With our combination of unmatched experience and affordable pricing, there’s no reason to look anywhere else for storage. For more information, get in touch with our experienced team of storage specialists at our Cloverdale facility today. "Hop in and let me help you with your Storage needs!"